Hello for the second time! My name is Cindy Beard and I am a second year MPH student in the epidemiology department at the UCLA Fielding School of Public Health. I had such a great time running in the charity relay of the LA Marathon with Team FSPH last year that I wanted to do it again...but this time I am committed to running the full marathon rather than the half (we'll see how excited I feel about that decision come race day)! This year, I am especially excited to participate in this fundraiser because, as a second year student, I know first-hand the benefit of summer fieldwork. I spent the summer doing my fieldwork studying avian flu surveillance systems in Dhaka, Bangladesh. The experience was amazing! It really helped me answer a lot of questions I had about where I think I fit in the world of global health. 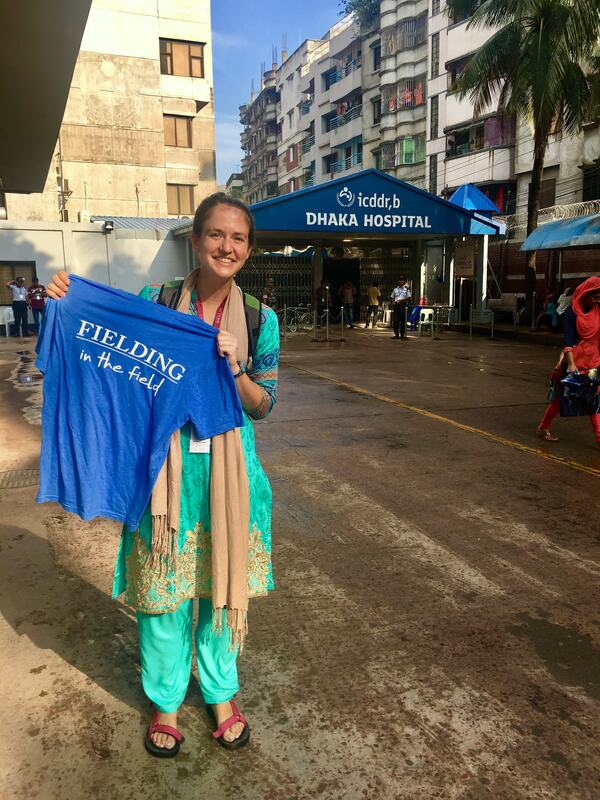 I was very fortunate to receive funding so I could spend my time in Bangladesh focusing on my research and not worrying about how to afford being there. I was so thankful to have had that experience that I want to do my part to make sure that any Fielding student will have the ability to do fieldwork anywhere they want. Please join me in supporting student fellowships for summer fieldwork!